Italiensk Kulturforening i Stavanger - Filmkveld: "Divorzio all'Italiana"
This time we will show the movie «Divorzio all’Italiana» (Divorce, Italian style) another one in the the saga of Commedia all’Italiana (Italian Comedy). 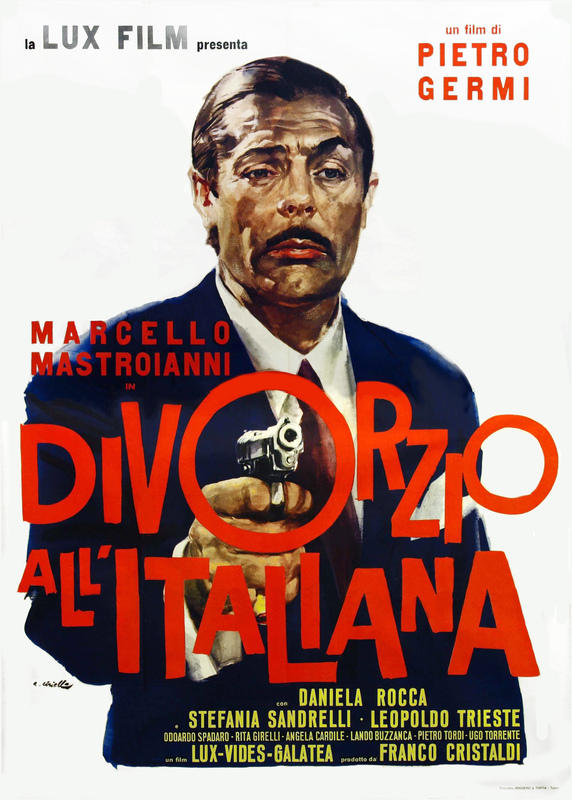 "Divorzio all’Italiana" has been released in 1961 and it has a running time of 108 minutes. The movie was directed by Pietro Germi and it is interpreted by notable movie stars like Marcello Mastroianni, Daniela Rocca, Stafania Sandrelli and Leopoldo Trieste. It is the story of an impoverished Sicilian nobleman, Ferdinando Cefalù, married to Rosalia, an unattractive but devoted wife. However, he is in love with his cousin Angela, a much younger and attractive woman whom he meets only during the summers. The movie won several international film awards, including the Academy Award for Best Story and Screenplay. Mastroianni was nominated as Best Actor in a leading role.